Ladies of the Lake Season 2 Trailer Released: Season Premiere June 19th! The highly-anticipated second season of Ladies of the Lake, which started from the adaption of Days of our Lives executive producer, Ken Corday novel of the same name, is back with all new episodes starting on June 19th. The all-star soapy cast will bring all the drama, just take a look at this just released teaser for season 2 posted on the show’s official facebook page. Watch for Kathleen Gati, Arianne Zucker, Marie Wilson, Jessica Morris, Kyle Lowder, Amamda Corday, Rob Scott Wilson and more in this digital drams series. Check out the trailer after the jump. Then let us know if you are excited for the return of LOTL via the comment section below! How To Get Away With Murder Renewed for Season Five! Earlier this week, the stars of daytime attended a red carpet and reception celebrating the outstanding creative achievements of the Television Academy Daytime Programming Peer Group members, led by Governors Eva Basler and Steven Kent. The annual get-together is always a few weeks before the Primetime Emmys and this year was no exception. Held at the TV Academy’s Saban Media Center, many of your favorites mingled with their co-horts, co-stars and more. The soap were well-represented by stars of The Young and the Restless, Days of our Lives, General Hospital, and The Bold and the Beautiful, in addition to digital drama series: Ladies of the Lake, The Bay, and Venice the Series. Now check out our photo gallery below of some of the attendees as they hit the red carpet. 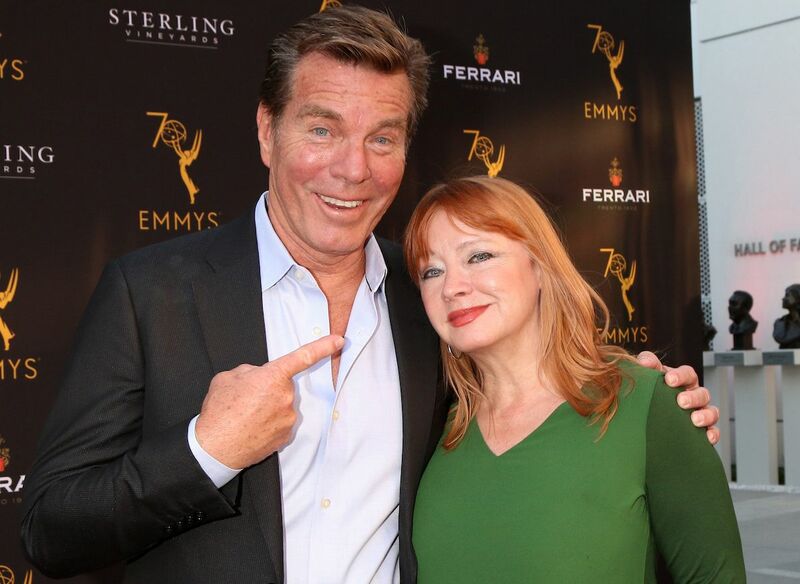 And of course, from our lead photo, Y&R’s Peter Bergman (Jack) and OLTL icon, Andrea Evans (Ex-Tina) were also on-hand for a fun night. Let us know which was your favorite pic from the gallery in the comment section below. Y&R's Sharon Case always knows how to make a stylish entrance. DAYS beauty, Victoria Konefal hits the carpet. BFF's for life, Days of our Lives' Sal Stowers, with Marci Miller. Real life duo, The Bay's Ronn Moss, and Devin DeVasquez. Who doesn't love to hate Ferncliff's Nurse Mary Pat! GH's Patricia Bethune! Y&R's Michael Mealor flanked by Cait Fairbanks and Camryn Grimes. Crystal Chappell hits the carpet and previews there is more Venice the Series to come! The hot real-life duo of GH's Chad Duell and B&B's Courtney Hope. DAYS Wesley Family Reunion with Nadia Bjorlin, Kevin Spirtas, Christian Ganiere, and Patrika Darbo! Y&R's fan favorite, Daniel Goddard. B&B newbies: Aidan Bradley and Kiara Barnes. Everyone is excited that Matthew Ashford will be back on Days of our Lives. James Reynolds, and his wife, Lissa, one of our favorite couples. Y&R's Melissa Ordway with her hubby, former DAYS star, Justin Gaston. Oh, how we miss OLTL's Langston Wilde, Brittany Underwood! Kyle Lowder hit the carpet repping his project, Ladies of the Lake, and soon to be back on DAYS. Y&R's Bryton James makes an appearance after he recently delivered heartbreaking scenes with Mishael Morgan when she exited the show. LADIES OF THE LAKE Season Two Slated For Summer 2018 Release! After a successful season one of the digital drama series on Amazon, Ladies of the Lake, they have announced filming of a second season! It was announced by series executive producers Kyle Lowder and Michael Caruso, that the series based on Days of our Lives EP Ken Corday’s novel, is slated to begin production in late January for a summer 2018 release. 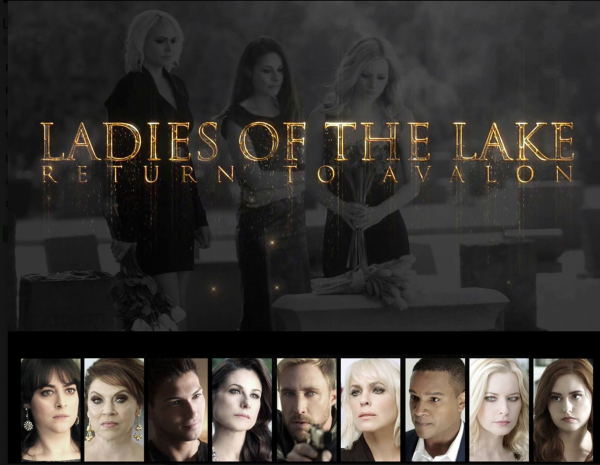 The new installment will be titled:L adies of the Lake: Return To Avalon and will he pick up in story one month after the events of the season finale. The four-episode season brings back soap favorites: Marie Wilson, Jessica Morris, Lilly Melgar, Jillian Claire, Kyle Lowder, Arianne Zucker to their roles, with more guest stars to be announced shortly. Daytime Emmy winning director, Sonia Blangiardo also returns to direct all four episodes in addition to being promoted to co-executive producer of the series. ‘Ladies Of The Lake’ To Stream For Free On Amazon In August! If you have not caught the online series adaption of Days of our Lives executive producer, Ken Corday’s novel, Ladies of the Lake, now is your chance to view it and for free! According to news this week from the series EP’s Michael Caruso and Kyle Lowder, ‘Ladies” will be made available for complimentary streaming to all Amazon customers during the month of August. That means anyone with an Amazon account can watch the show without being an Amazon Prime member. Ladies of the Lake weaves the tale of four women living in the exclusive gated community of Avalon in Southern California, and the lengths they will go to to escape their abusive marriages and spouses.